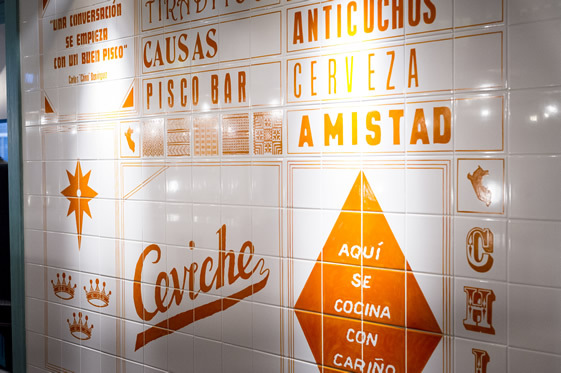 COOL: Ceviche, W1D | Everything is cool. Usually a couple of warming drinks and some nourishing food. Gets me just about ready to snuggle on the couch back home. Don’t you find though, ‘dinner’ can often turn into Dinner? When you drink the entire bar dry, chant “DOWN IT! DOWN IT! DOWN IT!” at your table, then go out, chip your tooth, lose your bank card and wake up wondering: what the eff actually happened? I had Dinner at Ceviche, the new Peruvian tapas place in Soho. I can assure you now that Ceviche is very COOL. I may have been diabolically shitfaced but I do remember liking the place. Unfortunately, it’s one of the only things I do remember. A Pisco Sour, or as I call it, A Never Again. It was meant to be ‘dinner’. The plan was to take my brother and sister-in-law out for a nice meal as a Christmas present. Yeah it’s April. We were going to sit round and chat about YouTube videos, voter demographic patterns, articles in The Observer and Chávez. Y’know, have a nice time. But then the cocktails came, and mein Gott were they delicious. And strong. So strong. Like a one-way ticket to Chunder Town, first stop: Booze City. 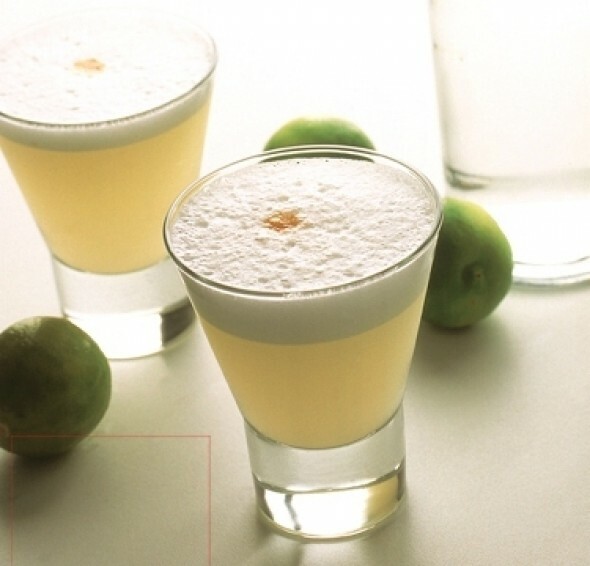 If you go, try the Pisco Sour – Pisco Quebranta, lime, egg white and Amargo Bitters – if you want to get hammered with a fix of protein. Or the Illapa – orange peel pisco, marmalade vodka and dried satsuma – if you want something that tastes like Sunny D with a heavy twist. Or just go straight for the selection of amazing Peruvian beers which, I really need to point out, I have been banging on about for years. Peruvians know how to make a good a beer, OK? I’d like to say I have loads of photos of the food we ate, but I don’t. Blame the cocktails. You can find out for yourself though, because Ceviche is absolutely perfect for dropping into for a quick drink and a plate o’ cured fish while out and about in town. The best dish was, duh, the ceviche – which for all y’all who’ve never had it, is seabass marinated in lime juice with heaps of softened onions and chilli. But also worth your time is the Sakura Maru, silky salmon in satsuma juice, mirin and soy. We kept these coming on repeat. The Peruvian Corn Cake was surprisingly delicious for what essentially is a very sweet sponge. The Corazón or beef heart was aces too: tender slithers of a cow’s most precious organ served with a garlicky dip. I THINK we ordered the Mackerel & Gooseberry Tiradato too, and I think it was delicious, but then again I’m not sure because at this point we were actually shouting at my brother’s wife to chug the rest of her drink before we moved on to a rancid gay bar where I smashed my front tooth into something, possibly a door.